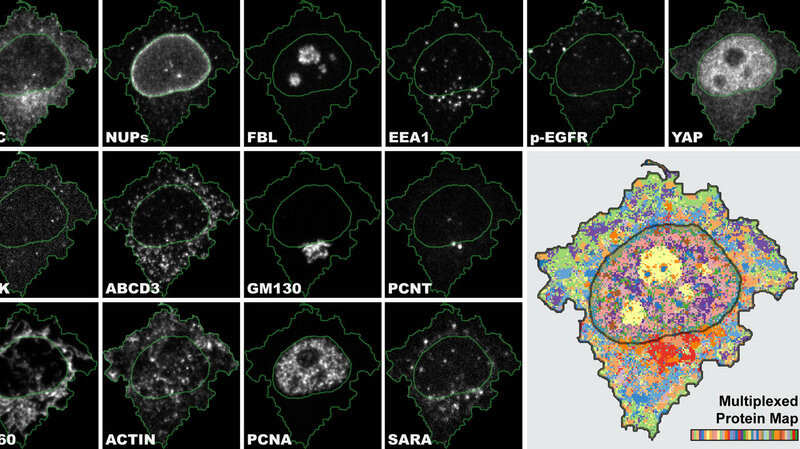 "4i is the first imaging technique that gives us a multiplexed tissue-to-organelle view of biological samples. We can, for the first time, link multiplexed information derived at the tissue, cellular and subcellular level in one and the same experiment," says Gabriele Gut, lead author of the study and postdoctoral researcher at the Institute of Molecular Life Sciences at UZH. Immunofluorescence (IF) uses antibodies to visualize and locate proteins in biological samples. While the standard IF method usually marks three proteins, 4i uses off-the-shelf antibodies and conventional fluorescence microscopes to visualize ten times more proteins by iterative hybridization and removal of antibodies from the sample. "Imagine cell biologists to be journalists. Every experiment is an interview with our cells. With conventional IF, I can ask three questions, whereas with 4i, I can have a discussion on more than 40 topics," explains Gabriele Gut. Once acquired, the huge amount of data must then be analyzed—the next hurdle for the researchers. 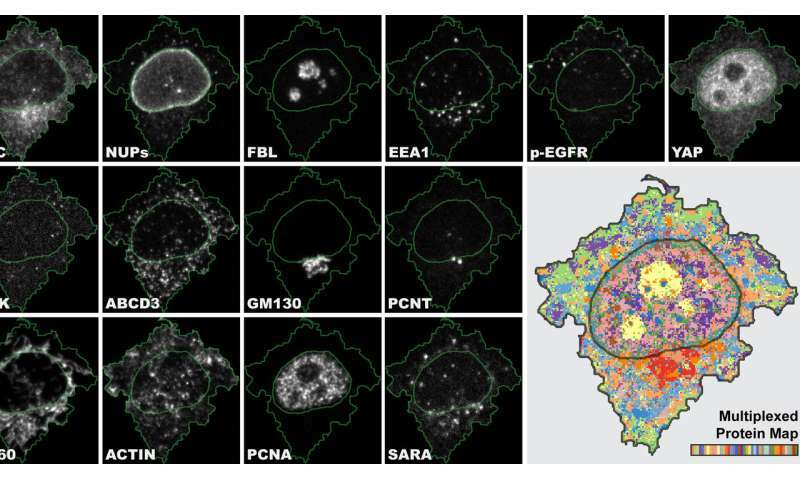 "We generated images with subcellular resolution for thousands of cells for 40 channels for more than 10 treatment conditions. The human eye and brain cannot process the biological complexity collected by 4i."